ASEF is delighted to support ArtCOP21 Professional Workshop as part of ArtCOP21, a Paris- and world-wide programme of cultural events organised alongside COP21 – the 21st United Nations conference of climate change. 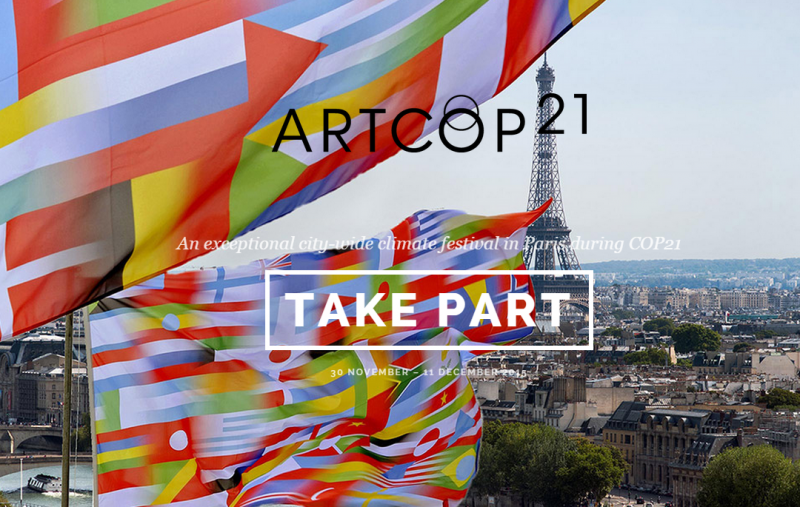 ArtCOP21 will address climate change as a “people challenge” and aims to create a “cultural blueprint of positive and sustainable change”. The Professional Workshop will take place on 3-4 December 2015, at the Gaîté Lyrique in Paris, France. Led by Coalition for Art and Sustainable Development (COAL) and Cape Farewell, the Professional Workshop links environmental initiatives in the cultural sector to public policies. It aims to enhance the role of culture and creativity in the insights and implementation of practical solutions towards a low carbon society, with particular focus on promoting “green mobility” in the arts & culture sector worldwide. The workshop will be attended by over 100 international representatives from the public sector (including Ministries of Culture, Environment & Foreign Affairs), private sector (foundations, galleries, companies) and the cultural networks. Together, they will share methodology with the aim to train, support and promote the integration of sustainable development within their practice. This workshop is co-curated by COAL, On the Move and Julie’s Bicycle, in partnership with International Federation of Arts Councils and Culture Agencies (IFACCA), International Network for Contemporary Performing Arts (IETM), Imagine 2020 and Green Art Lab Alliance (GALA). ASEF will support the professional workshop at ArtCOP21, as part of its on-going engagement with the discussions on culture and sustainable development. 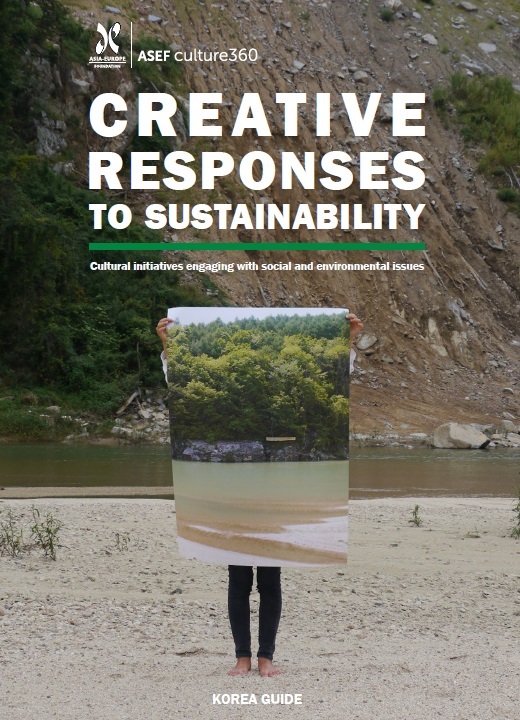 The Professional Workshop will also be the perfect set to present Creative Responses to Sustainability, a new series of guides mapping cultural initiatives engaging with social and environmental issues in different countries. Authored by Yasmine Ostendorf, the coordinator of the EU-funded network, Green Art Lab Alliance (GALA), these guides will feature a country directory of the most pioneering and significant cultural organisations contributing to social and environmental change through their artistic practice. The guides are meant to provide a tool for practitioners and policymakers to assess the situation and the needs of these organisations. In a more global context, the guides will also address the challenges of incorporating culture in sustainability at a local/city level. The first two Guides for Singapore and Korea will be released in December 2015. All the guides will be available for free download on culture360.asef.org and on ASEF’s website: asef.org. The guides are the outcome of ASEF’s engagement with the Green Art Lab Alliance (GALA) in 2014-’15, a partnership among 18 European cultural organisations to explore debates around environmental sustainability in the arts & culture sector. The guides also build on ASEF’s Connect2Culture initiative (2008-2011), which investigated the evolving role of arts and culture in society, with particular focus on climate change. The dossier, Arts. Environment. Sustainability. How Can Culture Make a Difference? summarises ASEF’s work in linking culture and environment from 2008-‘11 and presents issues raised by Asian and European cultural professionals on the debates surrounding climate change.